At Forward Slash Technology, we offer network cabling services and Ethernet wiring services for businesses located throughout the St. Louis area and around the country. We offer both network cabling design and network cabling installation services as well as network support and diagnostic services. Because our network cabling installers are highly trained and experienced, you can be sure that your final network performs up to the top standards in order to for you to keep you business running as usual. If you are interested in having our experts design and install network cabling for your business or in learning more about how our network cabling and diagnostic services can help your business, please feel free to contact our IT company today. 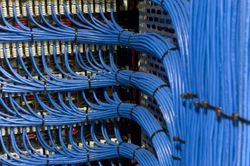 With our network cabling design and installation services, we do not just install hardware, software, and other network components within a network. Instead, we pay special attention to carefully integrating each component resulting in the creation of a network that is completely cohesive. With our IT hardware procurement services, we can determine which components to include in a network cabling project in order to optimize the speed and performance of you network. We take special care to keep your office organized and neat. In addition to designing and installing network cabling and Ethernet networks, our IT professionals can also offer a number of network cabling support services. These network cabling services can fix a crash or speed up a network that is not operating to its full potential. Our network cabling diagnostic services will determine the source of a problem and fix this problem as soon as possible in order to get your business back on track. To learn more about our network cabling services and how our IT professionals can design or install Ethernet wiring or a complete network for your business, please contact us today. 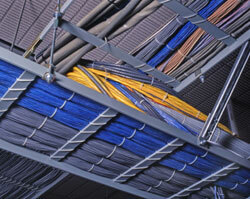 You can also contact our IT company to learn more about our network cabling support and diagnostic services.